The world is all about watching, listening and reading. Newseria is all about video, sound and text. We are a multimedia information agency providing business, innovation technology and lifestyle news. We create content and services to help engage audiences by cooperating with companies, brands and broadcasters. Our content is used, free of charge, by the largest television and radio stations, newspapers and Internet portals in Poland and abroad. Newseria provides companies and institutions with the opportunity to communicate with the market. We cooperate with a professional team of experienced journalists and editors. Our experts are market leaders, politicians, board representatives of state institutions and companies (including those listed on the Stock Exchange), analysts and representatives of the cultural world. 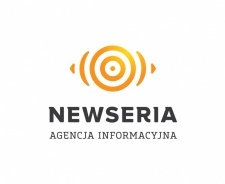 We run three specialized information services: Newseria Business, Newseria Innovation and Newseria Lifestyle. With our service it becomes extraordinarily easy to quickly reach the media in an attractive form. Everyday, the information we create is received by several hundred journalists. Thanks to prior consultations, they gain control of their message and save time formerly spent on press conferences or meetings with journalists. Newseria was established in 2011 with companies and institutions in mind. We want to serve the media by helping to reduce their operating costs while guiding them towards a successful realization of their mission. All of the content is FREE OF CHARGE for the media, information agencies and publishing companies. We are pleased to announce that Newseria is the official partner of BBC World Service in Poland.